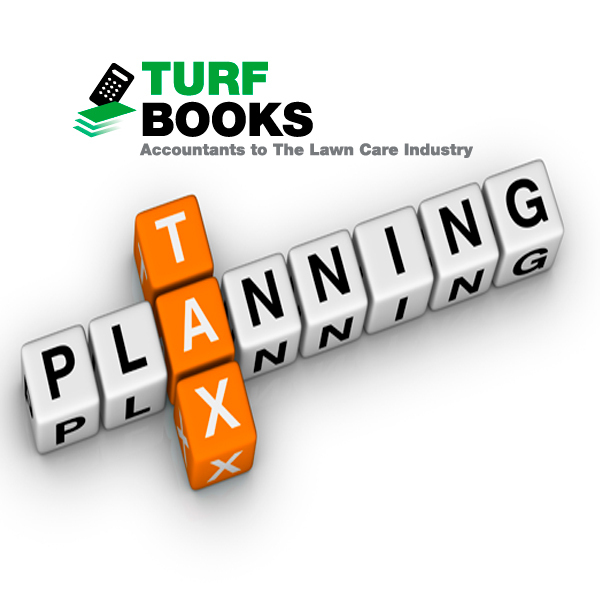 Let Turf Books handle the Tax Preparation and Planning for your Lawn Care Business! Remove the stress of preparing taxes and get back the time! Turf Books will monitor your income and expenses throughout the year so there are no surprises when it’s time to file. When dealing with the government, it always good to be able to back up all the information you report on your tax return. If you know that filing your taxes isn’t going to be easy, or are looking at the piles of bills, receipts, papers, and invoices, we’ve got the expertise to help you plan ahead. Our CPA’s and accounting services will pull you back above water, organize your financials, and prepare you and your business for tax season. Our Tax Preparation and Planning services will keep your business ahead can not only put you in good shape to file your taxes, but with our Lawn Care Industry background, can help your business to get on track, just the way it needs to be. With more than 20 years of lawn care industry experience, Turf Books accountants know what tax deductions work for your company. We’ll plan and prepare your returns, minimize your tax burden, and handle audit situation if it arises. Nothing instills fear like an Audit Notice from the IRS. An audit can be very disruptive to the day-to-day running of a business. As a lawn care company owner, it’s the last thing you need to have to worry about. When you trusted Turf Books with your bookkeeping, you have peace of mind in knowing your finances are in order. So, instead of panicking, you pick up the phone and give us a call. If you are new to working with us, let our experience help you gather and present your financial information. While we work on providing the IRS with the detailed information it seeks, you can continue to focus on providing your customers with top-notch service. We’ve got you covered. Contact us today for help with tax preparation and planning.